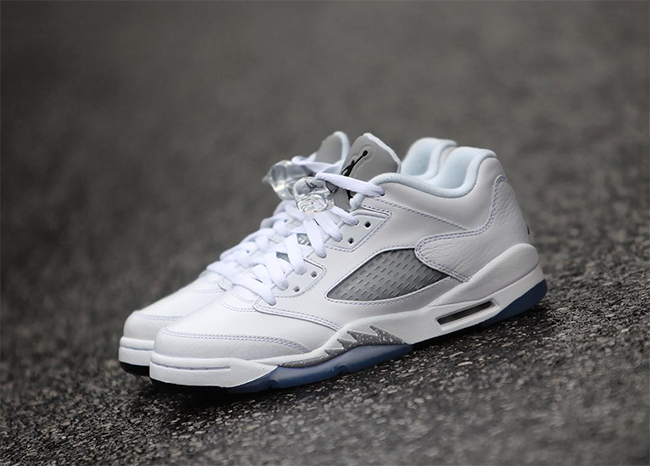 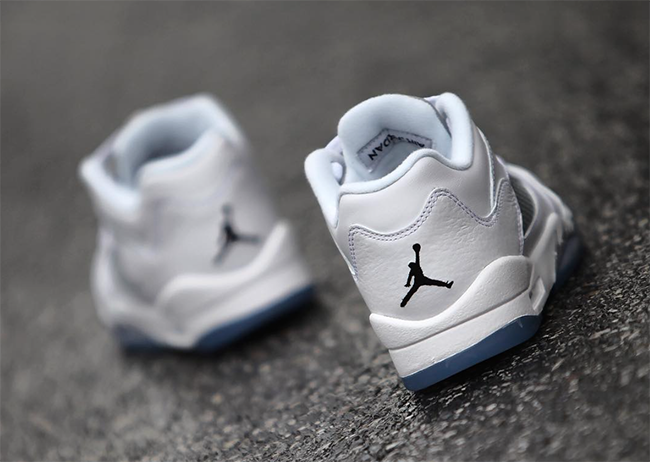 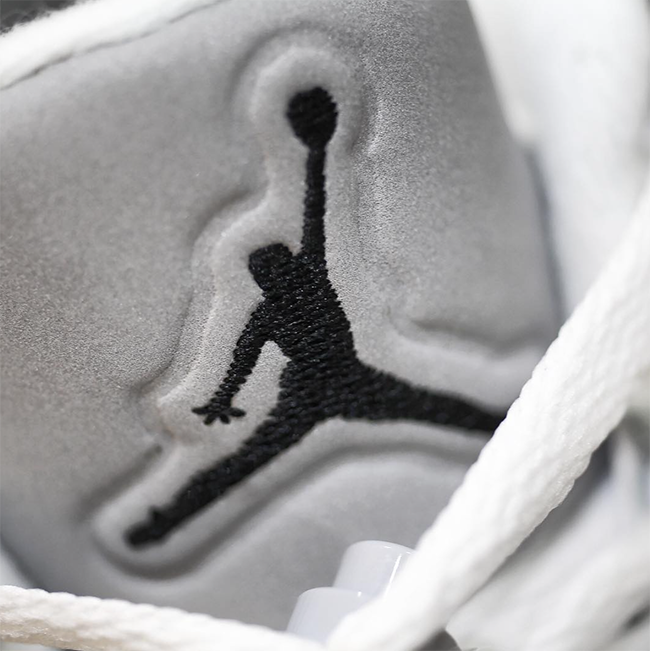 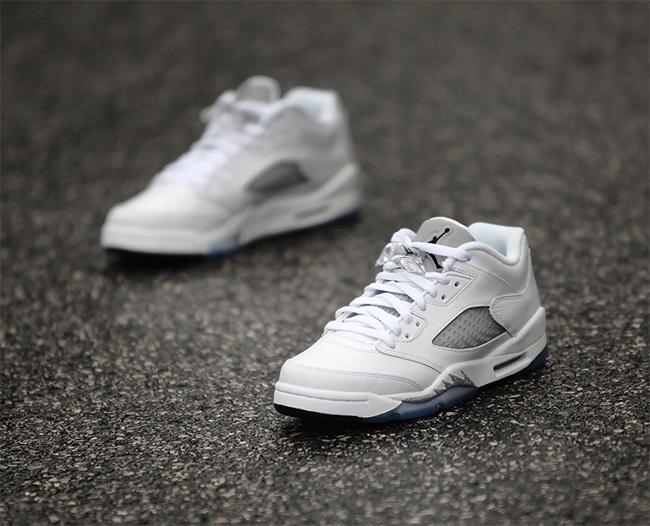 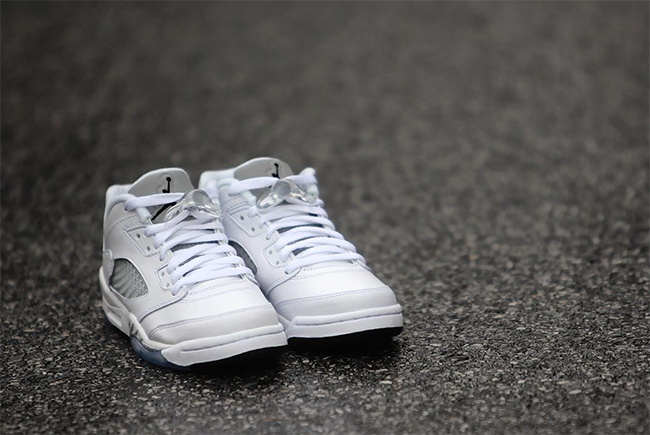 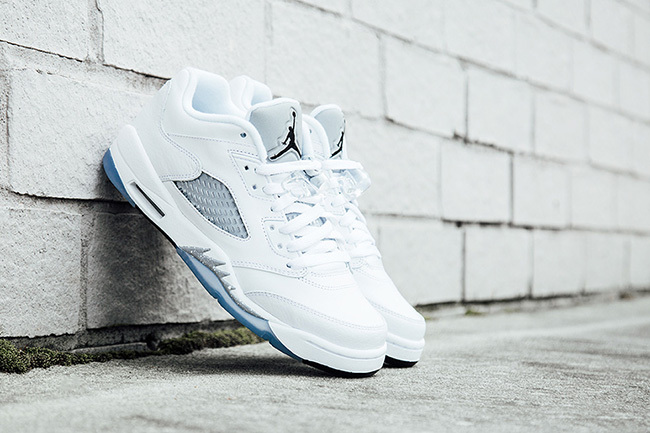 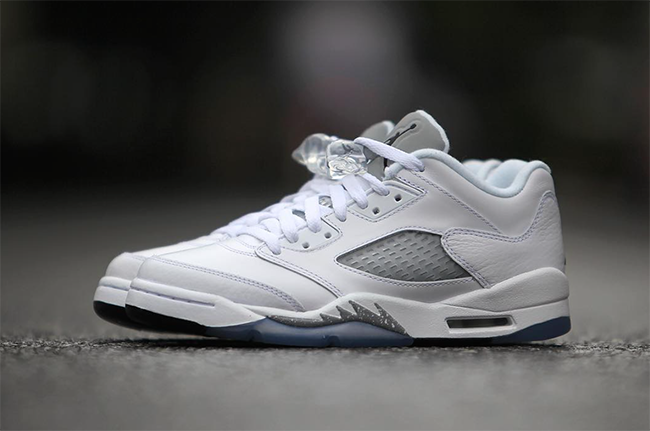 In April 2016, a new pair of Jordan 5 Lows will debut in GS sizing, the Air Jordan 5 Low GS ‘White Wolf Grey’. 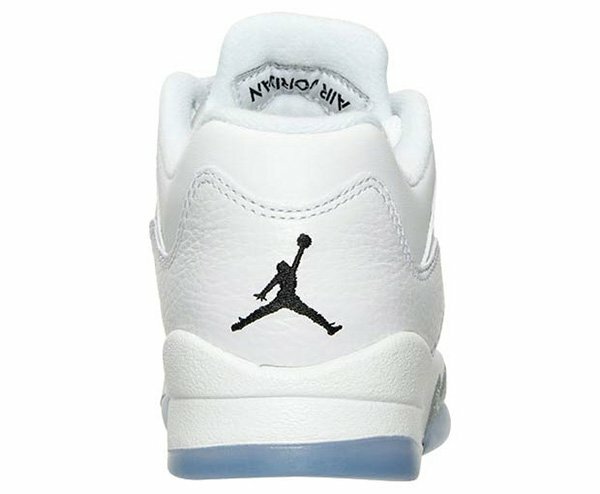 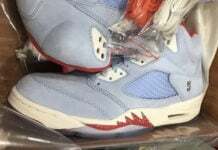 The 2016 Air Jordan 5 Low for kids shown has similarities to the 2007 Air Jordan 5 Low Women’s release, however this time around a few changes have taken place. 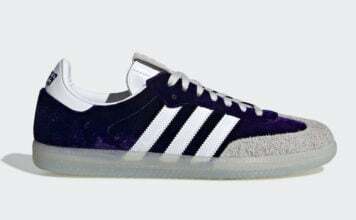 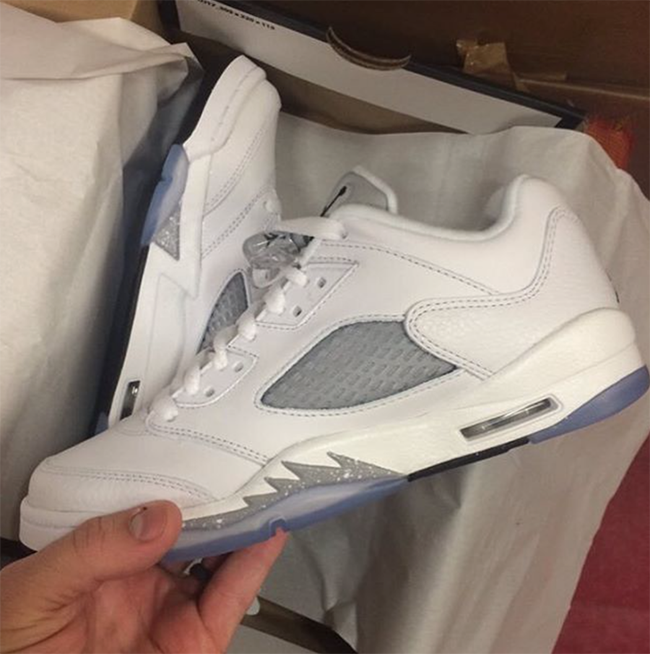 They even have a Metallic Silver feel to them like the pair that was remastered in 2015. 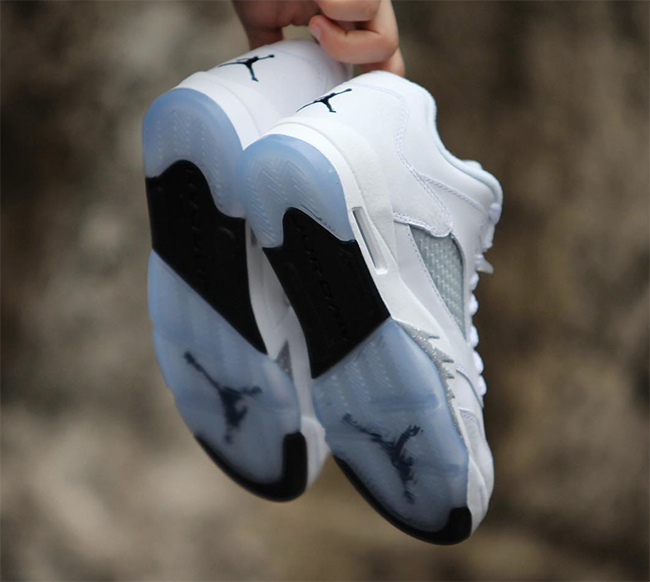 Featuring a clean and simple White, Black and Wolf Grey color theme. 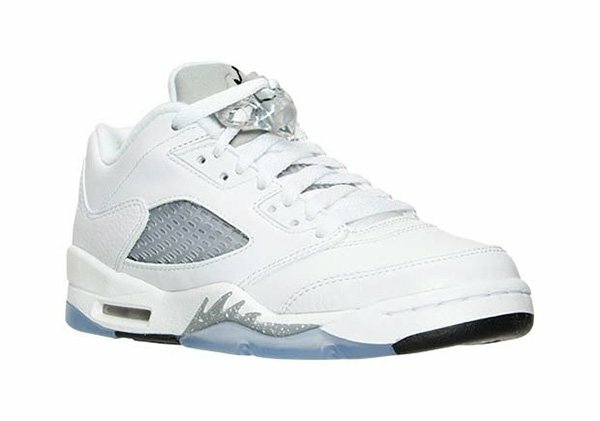 The base will receive the most White while using smooth and tumbled leather while Grey is seen on the mesh netting, flames and 3M tongue. 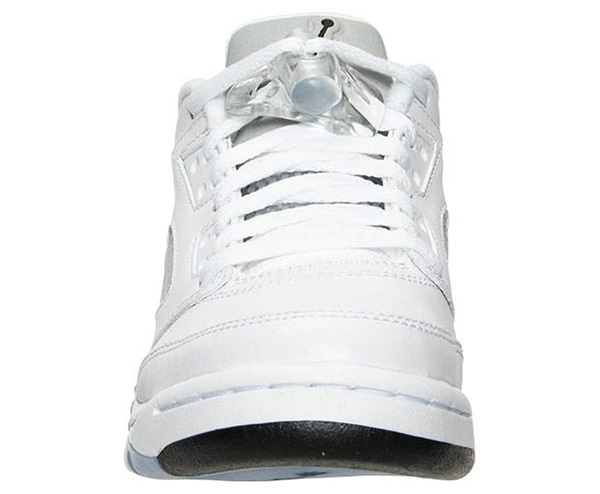 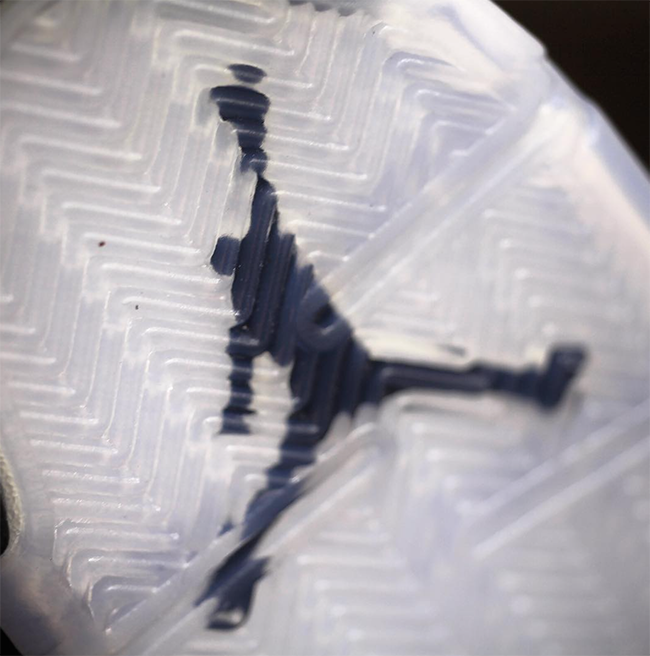 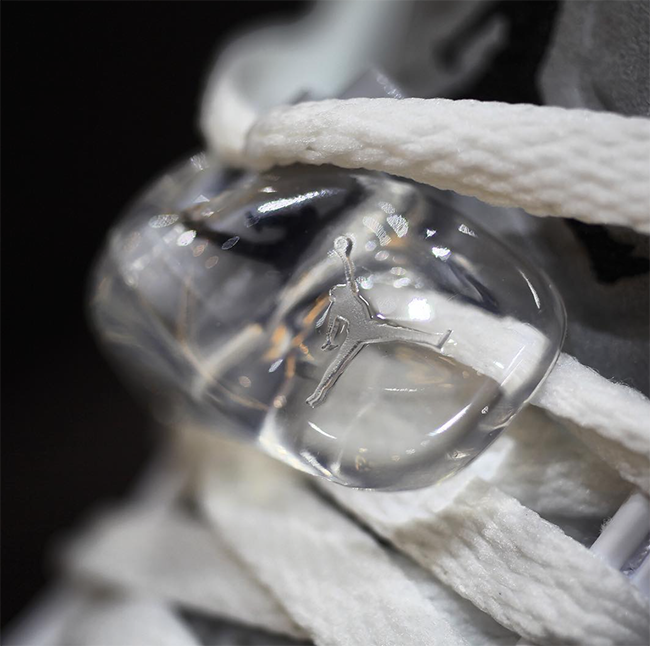 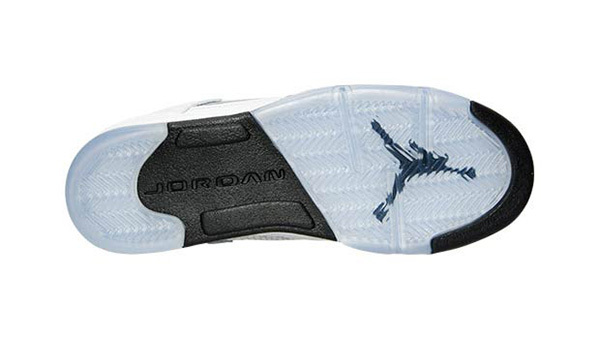 Other details include minor hints of Black and a translucent outsole. 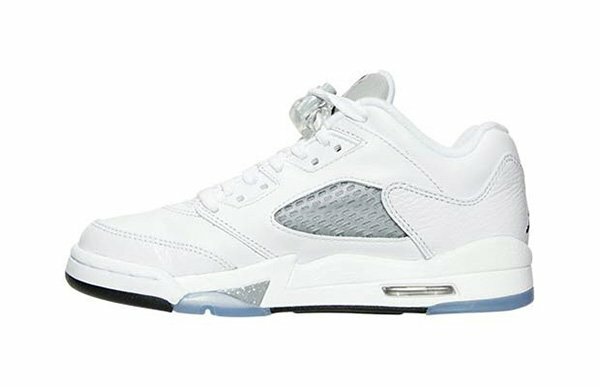 The ‘White Wolf Grey’ Air Jordan 5 Low GS will release at Jordan Brand retailers on April 9th, 2016 and comes with a price tag of $120. 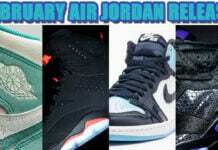 See a few more images below and make sure to check back for more details and photos. 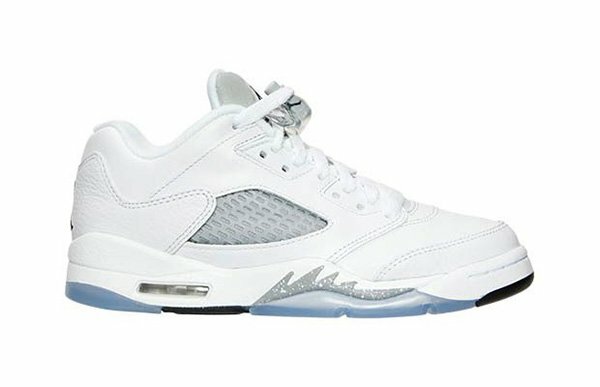 Update: This Saturday, the ‘White Wolf Grey’ Air Jordan 5 Low GS will arrive at Jordan Brand retailers like Social Status. 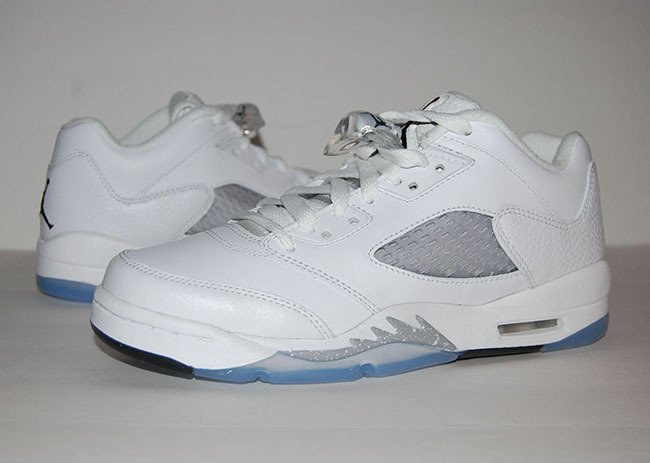 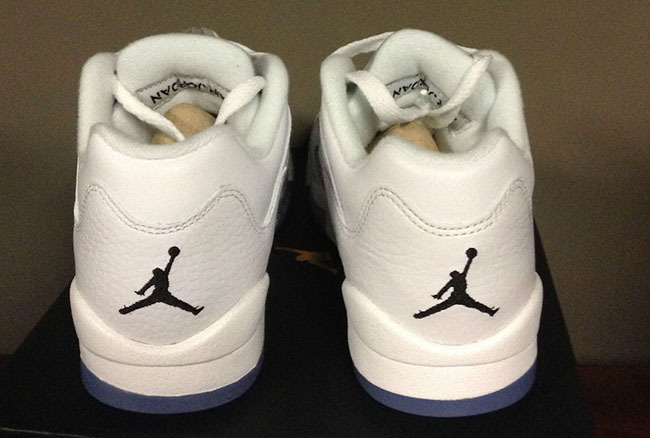 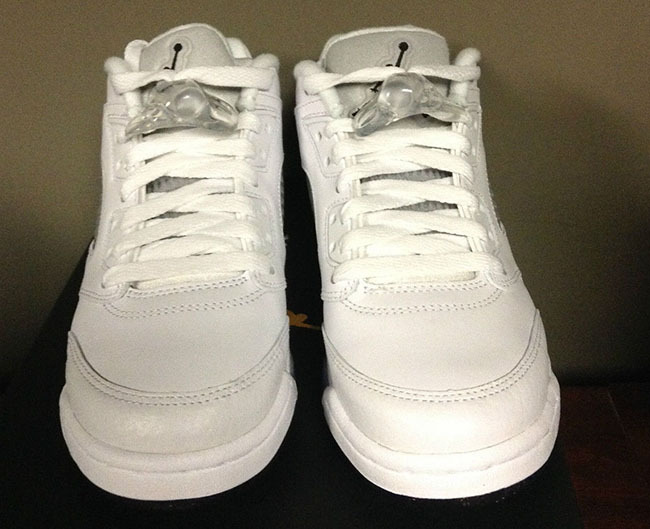 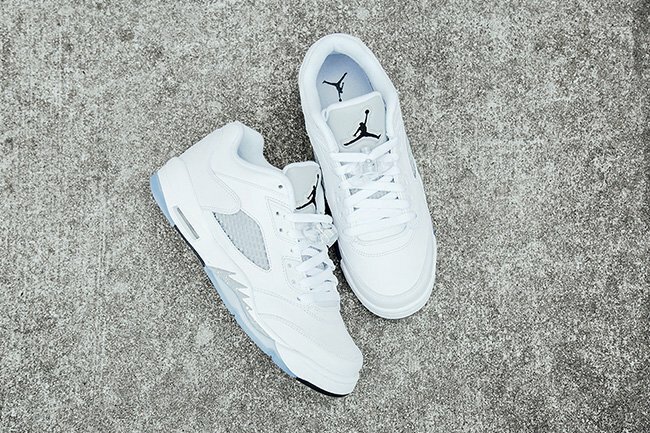 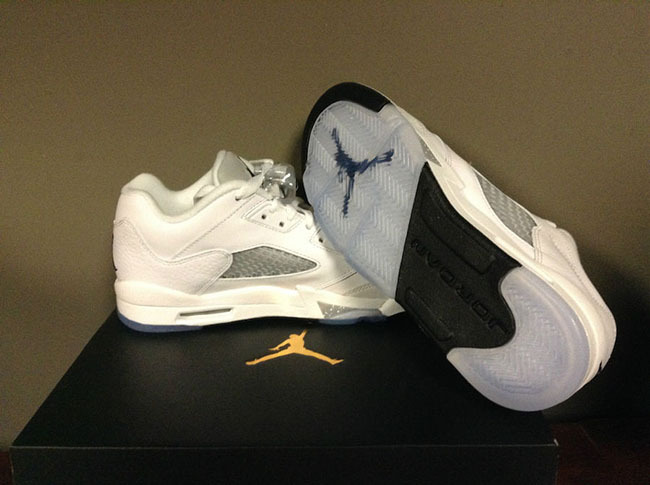 Update: We got our hands on the Air Jordan 5 Low GS in White and Wolf Grey that is set to launch on April 9th. 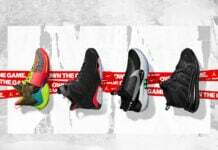 Upon release, you can purchase from Shiekh Shoes. 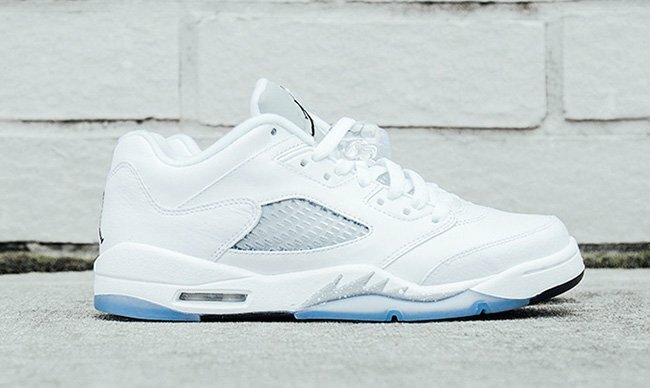 Update: Originally set to release on March 26th, the Air Jordan 5 Low GS White Wolf Grey will now debut on April 9th, 2016. 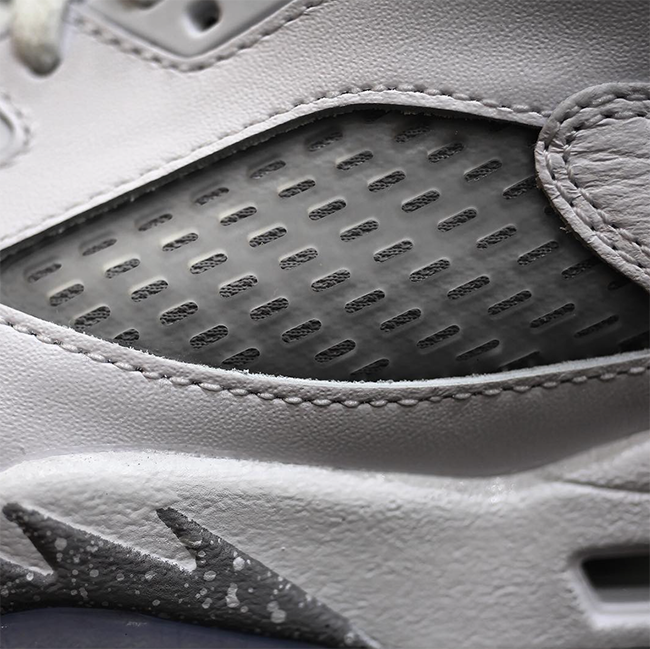 You can see the latest images below thanks to gc911. 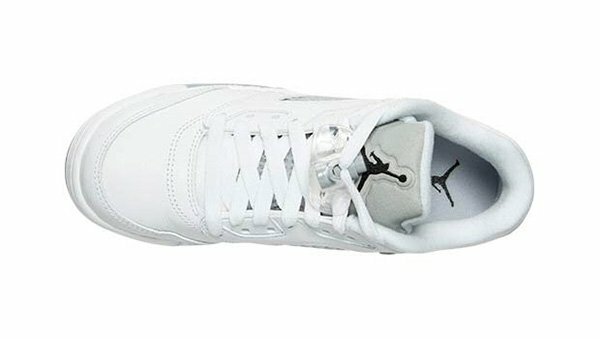 Update: For those that don’t want to wait for the official release date, the ‘White Wolf Grey Air Jordan 5 Low is now available on eBay. 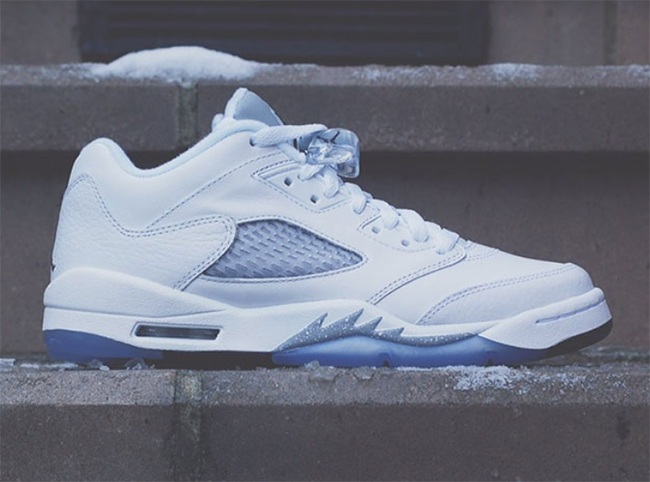 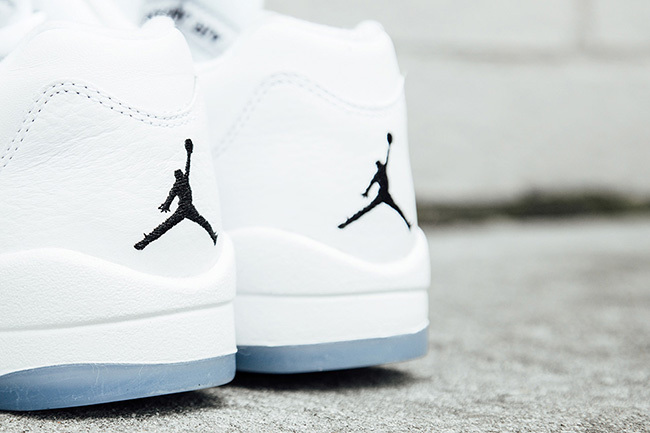 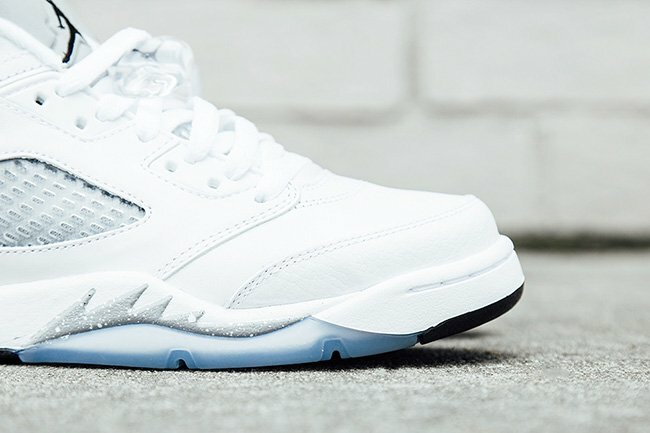 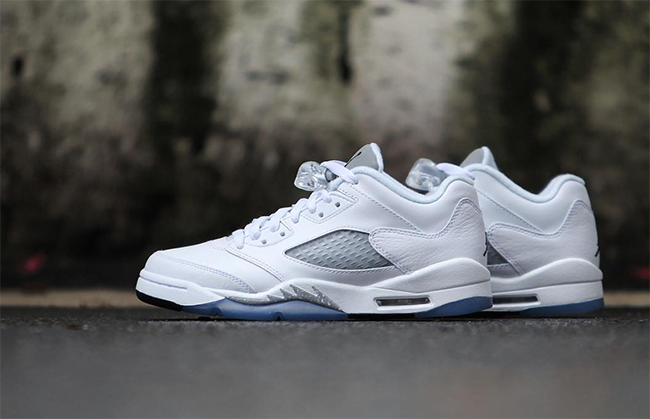 Update: The Air Jordan 5 Low GS ‘White Wolf Grey’ will release on March 26th. 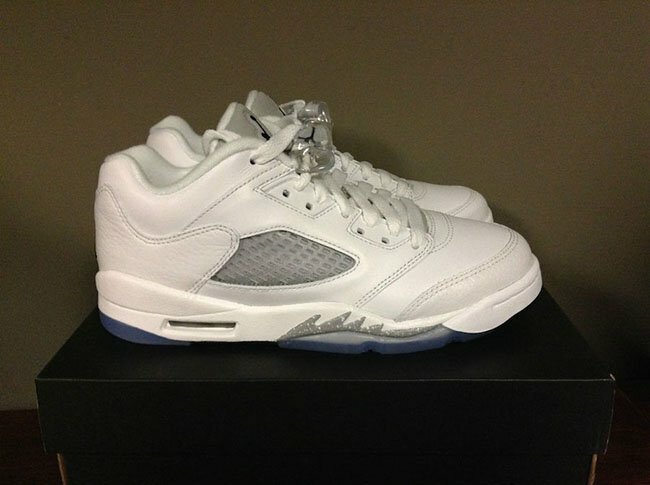 Our latest look is from FinishLine.com which gives us additional shots we haven’t seen before.